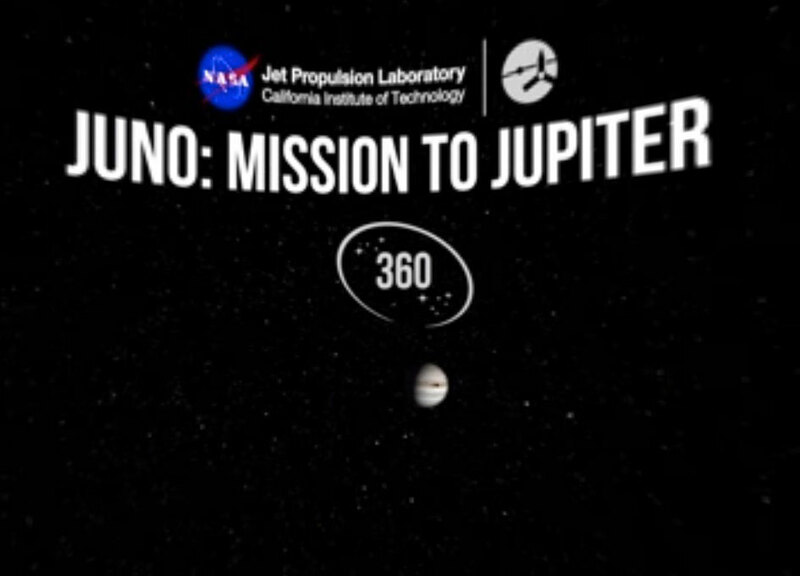 NASA Juno Mission: Mission to Jupiter 360 Video. Fly along with NASA's Juno spacecraft at Jupiter. Turn on your sound to find out more about the planet, the mission and the spacecraft. Click and drag the view on your computer, or move your mobile device up and down and around to explore the entire 360-degree experience. Note: Not all browsers support viewing 360 videos. YouTube supports playback of 360-degree videos on computers using Chrome, Firefox, Internet Explorer, and Opera browsers. Use the YouTube app to view it on a smart phone.